Unit 719 Globe Telecom Plaza 2 Pioneer St.
We, NTPI INTERNATIONAL ,INC. will be the leading source of Power Transmission Products, Material Handling Equipment and Components in the country and Telecom Hardware for both local and export market. We will be an active partner to our customers in the manufacturing, contracting and engineering companies through Power Transmission Product, Material Handling Equipment and Components and Telecom Hardware services. We will grow and expand so that we will consistently provide equitable return to our Stakeholders. We will continously provide professional services through Modern Engineering. We will live by our principle. PROFIT THROUGH SERVICE AND MODERN TECHNOLOGY. Our business is to provide wearable parts and capital equipment. We serve principally the industrial and commercial sectors nationwide. We act as distributor or representative of prominent foreign and local companies and maker of components of material handling systems and hardware for local and foreign telecommunication industry. 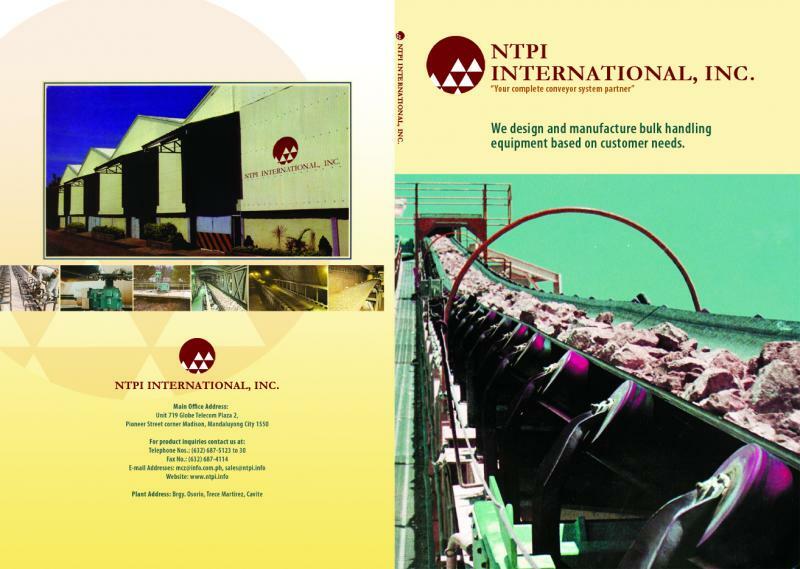 We design, engineer and manufacture conveying system based on customer's needs. Copyright 2011 N.T.P.I. International Incorporated. All rights reserved.